Find out all the latest trends here. I’m sure you don’t consider yourself lucky if you can pinpoint exactly which tooth hurts. 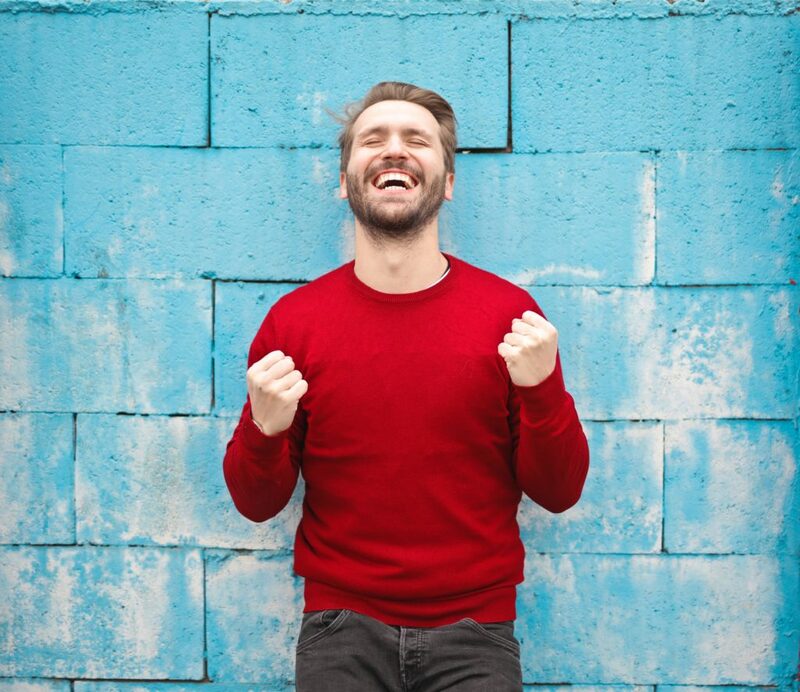 However, you are because quite often a patient is simply unable to say which tooth is the offending tooth, something that, understandably, makes treatment more complicated. Tooth pain can be a tricky character. It can wander from the top teeth to the bottom teeth or even if the pain is actually originating from one tooth the adjacent teeth can feel like they are all involved in the crime. For more on this opinion, head over to Irish News. I hate brushing my teeth. Seconds into each of the prescribed two minutes, twice a day, I get bored. So when I spotted an automatic toothbrush that claims to clean all your teeth at once in six seconds I imagined a gleaming dental future. Danish start-up Unobrush’s blurb had testimonials from dentists. I paid my $109 on the Indiegogo crowdfunding platform. I was struck by how many others were looking for a better toothbrush. Unobrush raised 70 times its target and received £2m from 30,000 backers. The Financial Times reports the full story. Find out more on how braces can change your life by reading the full article. Most likely at some point in your child’s development, your dentist will recommend a consultation with an orthodontist. 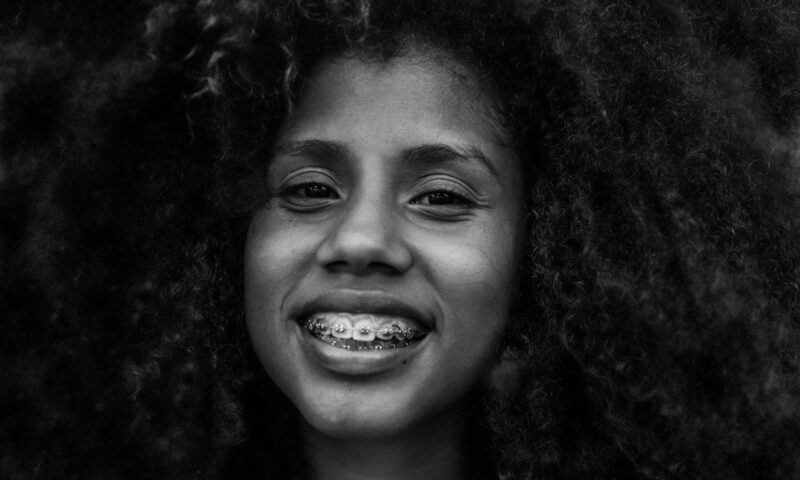 Braces are a rite of passage for many young teenagers. However, parents have a lot of questions before they invest in their child’s smile. The full Q+A can be found at Chicago Parent. New research finds that triclosan, a popular antibacterial chemical, could have the opposite effect and make bacteria more rather than less resilient to antibiotic treatment. 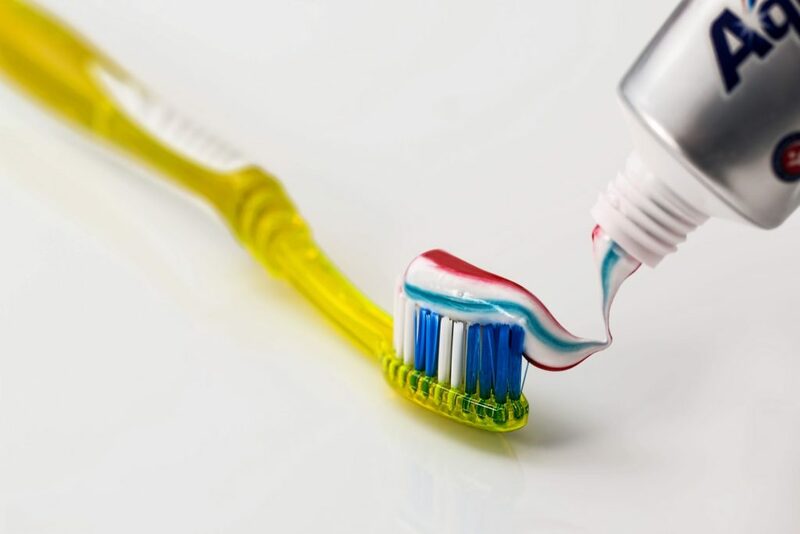 Triclosan is an antibacterial compound present in everyday household and personal-care products, such as toothpaste, soap, dishwashing liquid, deodorants, kitchenware, toys, bedding, clothes, and trash bags. For more on this new discovery, head over to Medical News Today. This might sound like a strange question, but are your kids using too much toothpaste? If they are, it could damage their teeth. 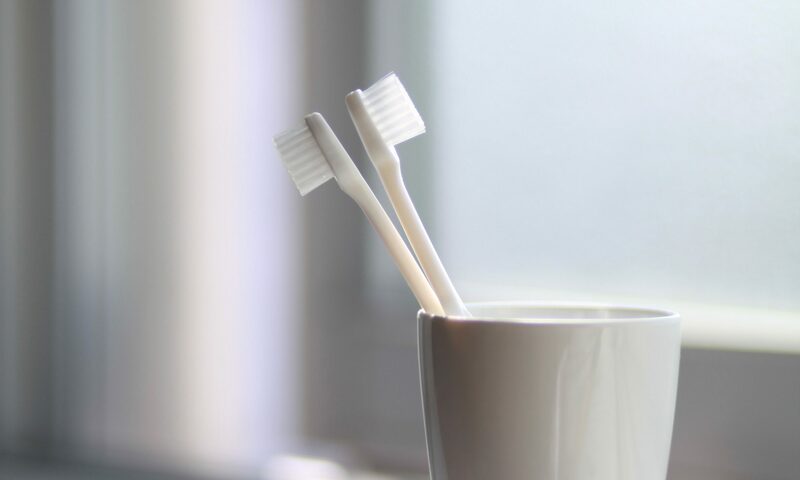 “Historically, what we’ve seen is overzealous amounts of toothpaste on the brush,” said Dr. Christopher Delecki, president of the Washington State Dental Association. 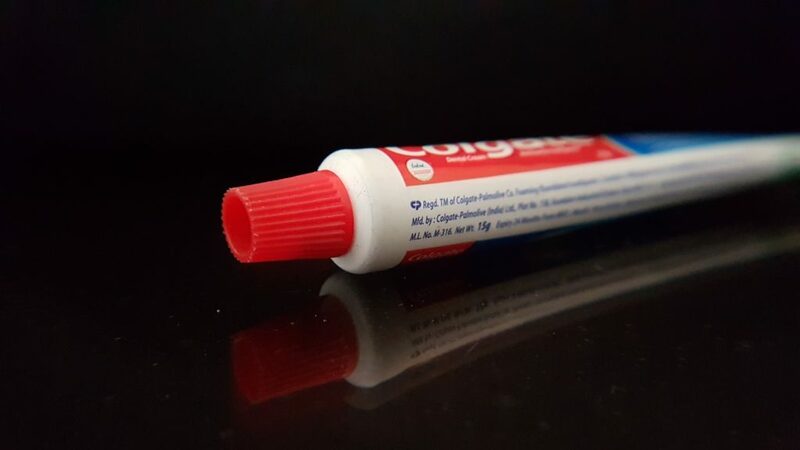 A recently published study by the Centers for Disease Control and Prevention (CDC) found that nearly 40 percent of kids ages 3 to 6 use more toothpaste than recommended by dentists. Little kids tend to swallow a lot of their toothpaste and that toothpaste contains fluoride. For more on this discovery, head over to Komo News. 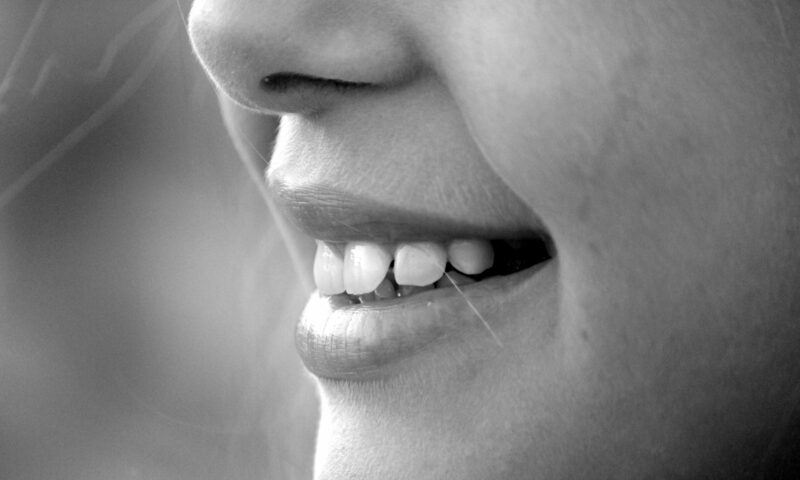 Plaque is a soft, sticky film that accumulates behind and in-between your teeth. Plaque is dangerous because it harbours bacteria that if left, can cause serious damage to your enamel. This bacteria can also promote and cause tooth decay and gum disease, especially if the plaque is not eliminated through brushing or dental intervention. Plaque is formed when the sugars from foods and drinks are not cleaned from your mouth. The remnants of the food and drink turn acidic and begin eating away at your enamel. The more this happens, the more your enamel will wear away. Eventually, this will result in a cavity (a hole in the tooth). What Happens if You Leave Plaque? Plaque that is not removed via daily brushing and flossing will eventually harden into tartar. As tartar continues to build along the gum line, brushing and flossing will become more difficult. Continued neglect will see plaque and tartar build-up increase, which may lead your gums to become red, swollen and painful. Bleeding will also follow and this is the first sign of gingivitis, an early stage of gum disease. Despite taking good care of your oral hygiene, bacteria will still find a way of entering your mouth. Bacteria mixes with proteins and food byproducts and that creates plaque. When plaque is left, it forms tartar, essentially hardened plaque. Tartar starts on your teeth but will eventually spread to your gums. If left, it can lead to receding gums and can only be removed by a dentist. The good news is gingivitis is treatable. By simply following good oral hygiene practices (and professional treatment), you should make a full recovery. If gingivitis is left untreated, it will become more painful and eventually lead to periodontitis. This is a serious oral disease that breaks down the structure of your gums and bones supporting your teeth. This, again, is caused by bacteria attacking your enamel and gums. Your gums will begin to recede and in extreme cases, this can lead to tooth loss. How Do You Clean Plaque? Plaque is difficult to spot because its clear in colour and usually resides at the back or in between your teeth. If you suffer from serious amounts of plaque, it should be easier to identify and you should also be able to feel it with your tongue. How Do You Identify Plaque? As it’s colourless, it can be hard to identify. However, there are disclosing tablets you can buy that stain the plaque, making it easier to identify. Alternatively, you can visit your dentist for a checkup. 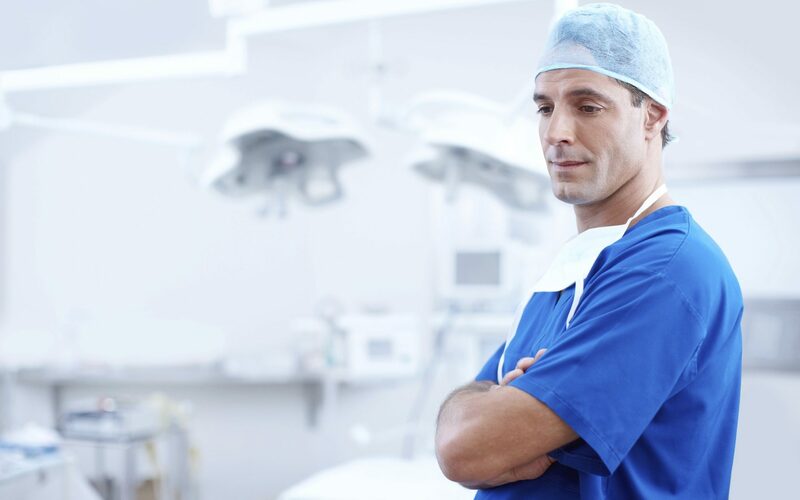 Here, they will identify and rectify and plaque and tartar-related problems. A scale and polish should remove all plaque from your mouth and you will also be given advice on how to stay on top of plaque build up. Flossing is often neglected when it comes to keeping on top of your oral hygiene. A common belief is that flossing helps rid food from in between teeth and gums, and while it can help with this, floss was not designed for this. Flossing actually helps remove the film of bacteria from in between teeth – which forms plaque. If the plaque is left, it will eventually turn to tartar. This is why flossing plays such an important role in oral hygiene. Most toothbrushes are not able to effectively remove bacteria and plaque from hard-to-reach areas, but flossing can help with this. Open the floss container and cut the length of dental floss you require (cut so that you’re able to tie it around your two index fingers to help with stability). Slot the floss in between your teeth, be careful not to force it. 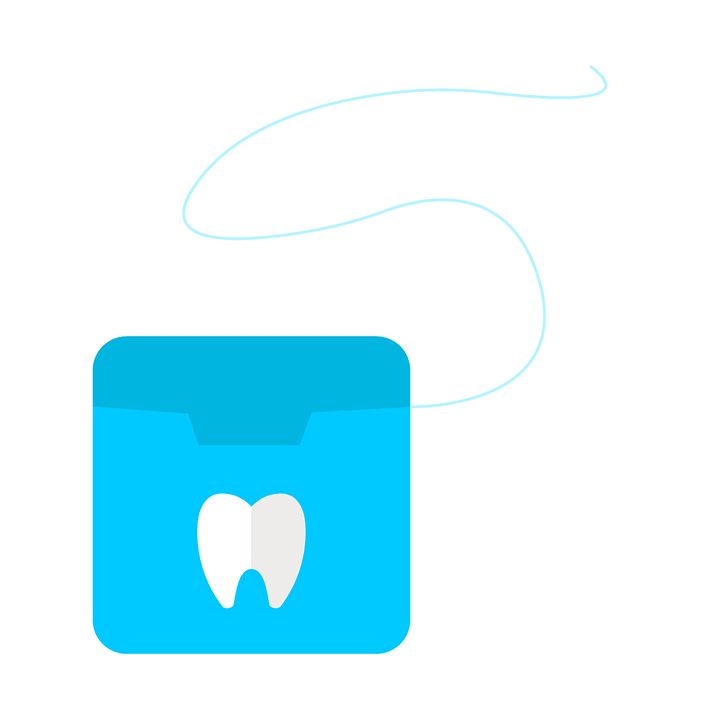 Form the floss into a ‘C’ shape, allowing you to move the floss seamlessly between the surfaces of your teeth. Use a new cut of floss for each tooth to ensure you’re not passing the bacteria you’ve jsut removed around your mouth. If you notice your gums bleeding excessively and you’re in discomfort, consult your dentist to ensure there is not a serious problem. Discard the floss after use. 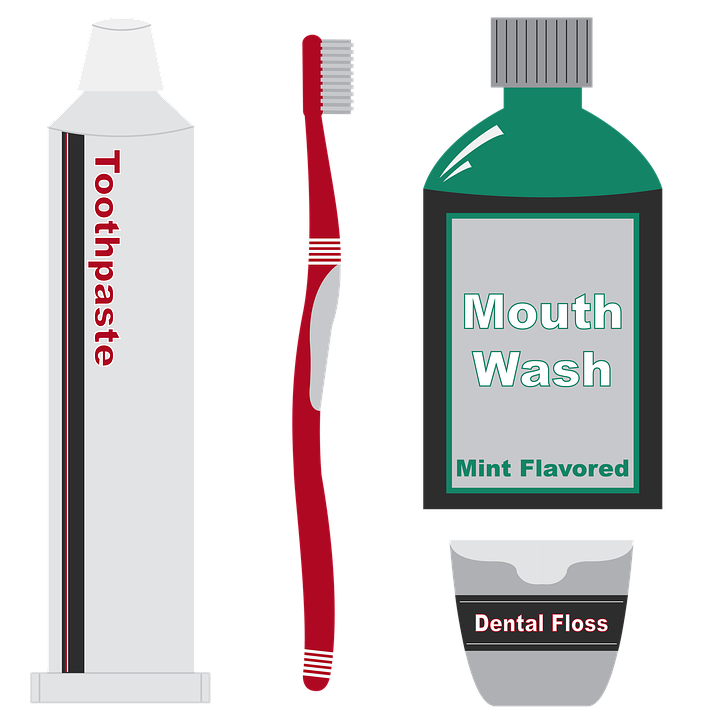 There is no ‘right order’ with regards to when to brush, floss or use mouthwash. Some dentists believe that flossing first might be more beneficial, as once the bacteria and plaque have been removed, you can rinse and then brush your teeth. However, as long as you brush and floss twice a day, your oral hygiene should remain healthy. Brush and floss your teeth twice a day using fluoride toothpaste and an electric toothbrush. Floss is commonly neglected but remains one of the best ways to clean teeth. 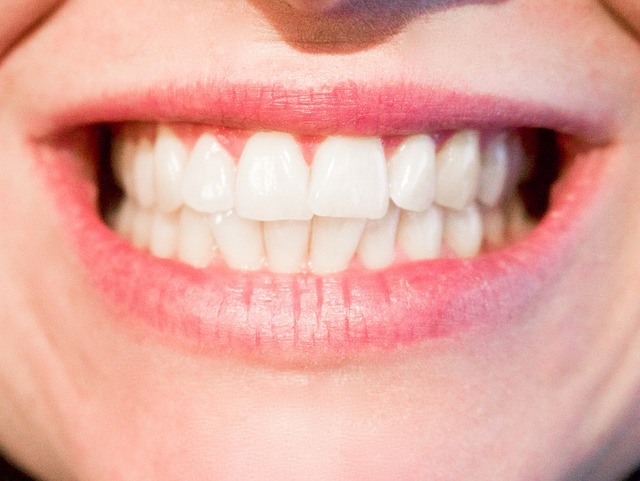 This simple routine will protect your teeth from plaque build up and decay. Eating and maintaining a healthy diet will also reduce plaque build up. 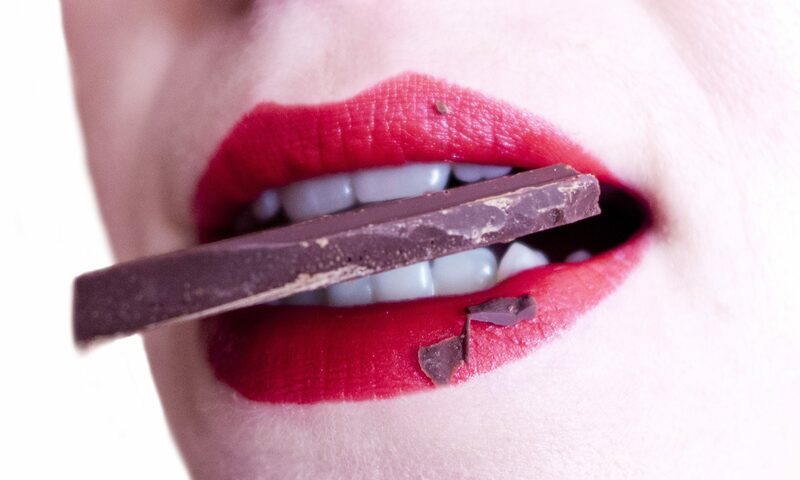 Food and drink high in sugar will erode your tooth enamel faster, so stay away from these foods and stick to greens. Also, it’s advised you brush your teeth after every meal to ensure no leftover food remains in your mouth throughout the day. Mouth rinsers should not be used in place of brushing and flossing your teeth. Visiting your dentist once every six months is advised. Regular check-ups are advised in order to keep on top of your oral health and hygiene. If you believe you are suffering from plaque and tartar build-up, you should book in an appointment with your dentist. Leaving your teeth and gums exposed to such bacteria can cause serious long-term damage to your oral health. Also, rectifying these issues can be costly, far more than a booking a checkup and/or scale and polish. If you have braces, it’s important you brush your teeth properly. Otherwise, when your braces are removed, you could have unsightly stained or significant plaque build-up. If you want beautifully white teeth and impressive results to show off to your friends, you have to take care of your teeth properly. This means brushing your teeth thoroughly, especially when you wear braces, so that you can achieve a healthy mouth. At Splash Orthodontics, we know that brushing your teeth is made more difficult when you have braces. But if you stick at it, you will see the results of your hard work when your braces are removed, and it will all have been worth it. To help you on the right road, we’ve put together 8 expert tips below for brushing your teeth with braces. Without exception, you must brush your teeth and braces every single day for a healthy mouth. Throughout the day, food particles and plaque can stick to your braces and teeth and if you don’t clean this off by effective brushing, you could significantly affect your oral health. Rinse your mouth out with water to loosen food particles. Rinse your toothbrush with hot water to clean it. Put your toothbrush at a 45-degree angle to the gums. Gently move your toothbrush back and forth over the surface of your teeth. Be sure to thoroughly clean between the brace wiring and your teeth. You should also brush the outer and inner surfaces of your teeth. Brush your teeth like this for two to three minutes. Brush your tongue to remove any remaining bacteria. This tip is also great for keeping your breath fresh! If you have any questions about brushing your teeth, our experts at Splash Orthodontics would be more than happy to provide advice. In addition to brushing your teeth thoroughly every day, it is important you also floss daily – particularly when you wear braces! Flossing is a crucial step to maintaining oral health and keeping teeth healthy. Flossing when you wear braces is just the same as flossing without. The only difference is that you must floss under the archwire between the teeth. If using strips of floss is too tricky, you can buy specially-made flossing instruments designed specifically for people with braces. Top tip: we recommend that it’s best to floss at the end of the day. This way, you won’t miss any food particles that have become trapped in your teeth. When you’re wearing braces, it is important to avoid using whitening products. This means you should not use whitening mouthwash or toothpaste. The reason we advise against teeth whitening products while wearing braces is that they only work on the place they tough, meaning that you’ll have uneven tooth colouring when you get your braces removed. To avoid uneven tooth colouring, stay away from whitening products until your braces have been removed. Brushing your teeth when you have braces is made significantly easier when you’re wearing the right toothbrush. When you wear braces, you want to use a soft-bristled toothbrush. This will help prevent any gum damage or wear on your teeth, keeping them healthy throughout the duration of your brace journey. Top tip: also ensure your toothbrush is in good condition. 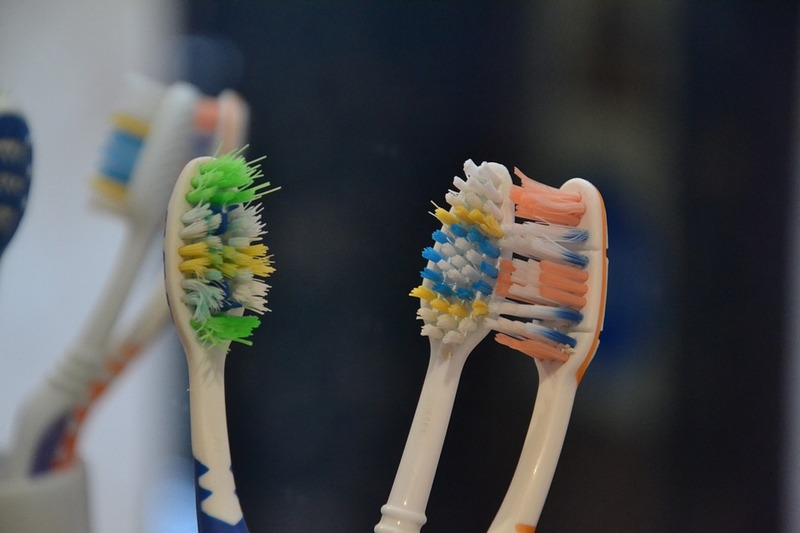 Click here to find out how often you should change your toothbrush. Mouthwash is one of the best ways to ensure your mouth is completely clean after you’ve brushed your teeth. Mouthwash gets into the parts of your mouth that may have been missed when brushing your teeth. Mouthwash will also help keep your breath fresh, reduce inflammation of your gums, prevent infection, and help the mouth heal faster. All you have to do is, after you’ve brushed your teeth, rinse your mouth out with two teaspoons of Peroxyl for one minute and then spit it out. You can use mouthwash up to four times a day (or as frequently as the guidelines suggest). We recommend using mouthwash after every time you brush. Fluoride toothpastes are the best when it comes to strengthening tooth enamel. They help prevent damage to your teeth and also protect against tooth decay. This is particularly important when you wear braces as your teeth are more susceptible to damage or general wear and tear. Brushing your teeth regularly is important for maintaining oral health. However, over-brushing or brushing your teeth too much can cause abrasion, leading to tooth sensitivity and receding gums. 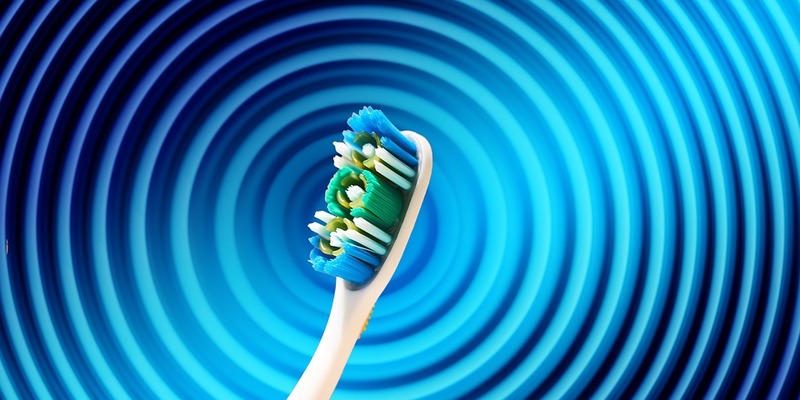 Over-brushing your teeth can wear down enamel over time, making your teeth more susceptible to damage. So, we would recommend that you only brush your teeth twice a day. 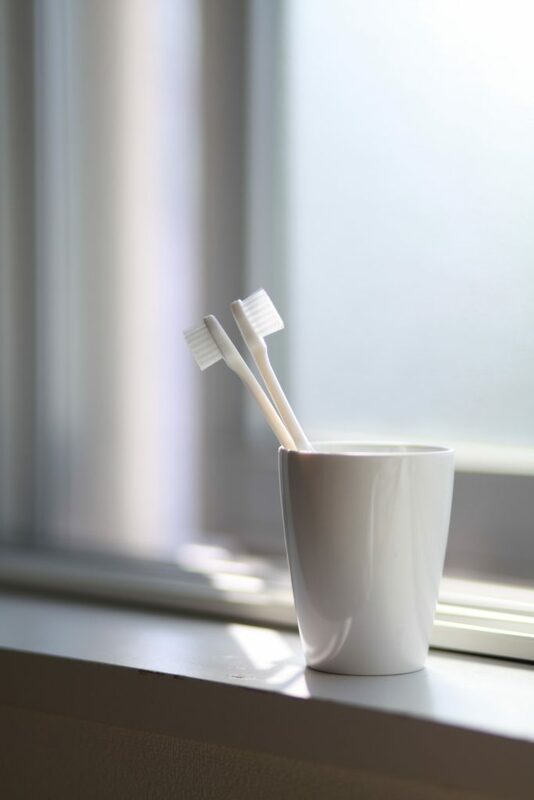 When it comes to maintaining good oral health, regular teeth brushing is important but there is no need to brush your teeth more than twice a day. You must also consider how hard you brush your teeth. It can be easy to brush your teeth too vigorously, causing abrasion and damage. 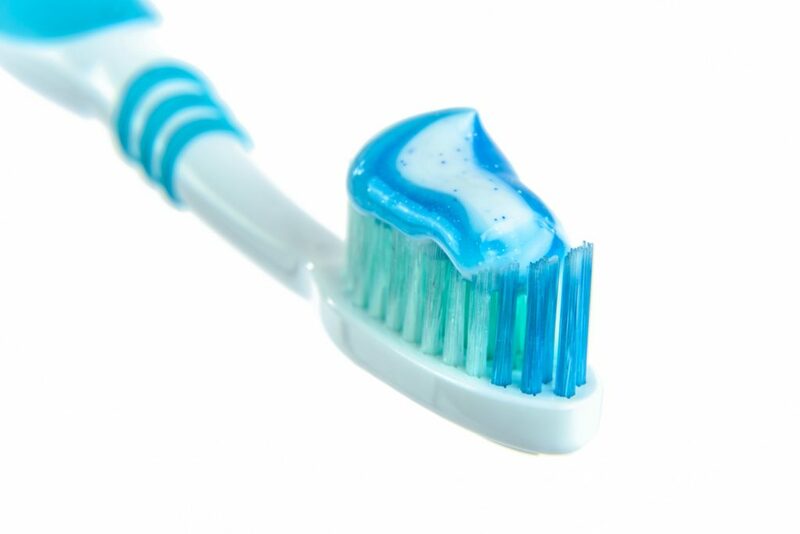 An easy way to tell if you’re brushing your teeth too hard is if you are squashing the bristles on your toothbrush. Top tip: purchase an electric toothbrush with a sensitivity feature. Some electric toothbrushes flash when you’re brushing your teeth too hard, making you aware so that you can make changes. If you want to keep your teeth healthy while you’re wearing braces, as well as effectively brushing and flossing, it is important to book regular dental check-ups. 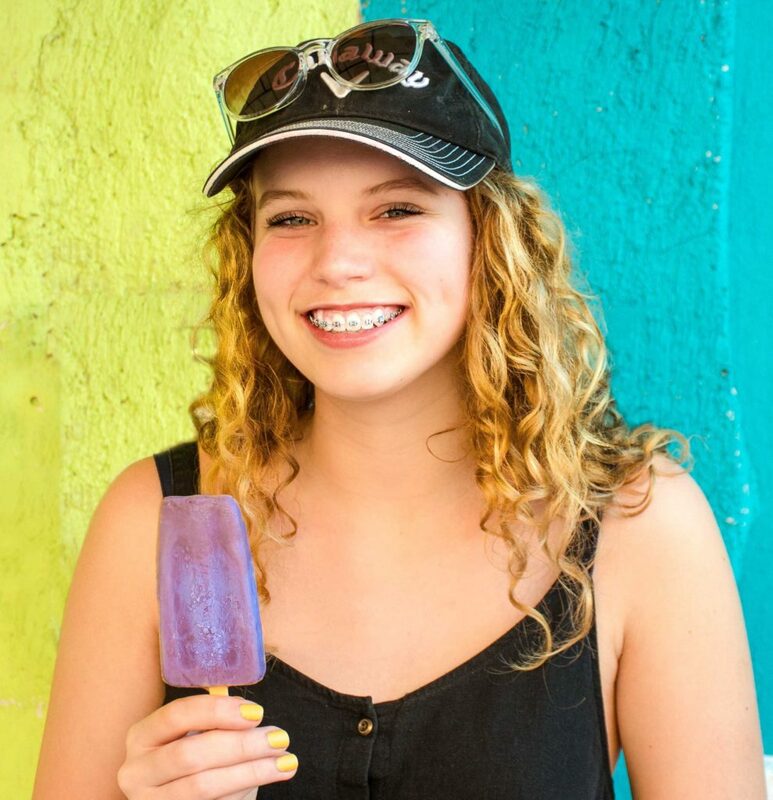 At Splash Orthodontics, we are specialists in dental care and hygiene. What’s more, we are experts in brace maintenance, care, and cleaning. So, we will be able to thoroughly check your oral health, brace status, and cleaning efforts. Schedule regular appointments with your orthodontist to ensure your teeth are kept clean and healthy if you wear braces. Regular check-ups are also a great opportunity to ensure your teeth are being kept clean in the way that they should be. 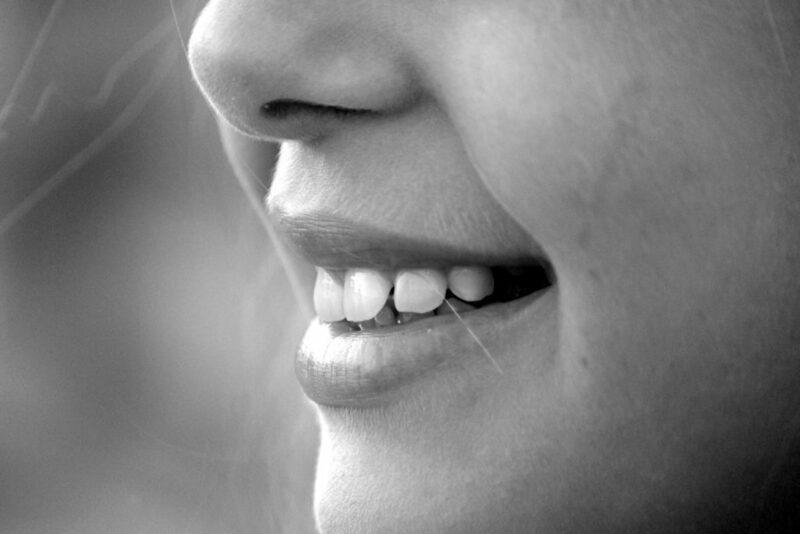 Our amazing orthodontic team can help you achieve a smile you can be proud of. Taking the time to brush around your braces and your teeth is essential for avoiding any serious dental problems. If you don’t brush your teeth with braces properly, you could experience problems such as inflamed gums, tooth decay, plaque build-up, tooth discolouration, and infected gum tissue. 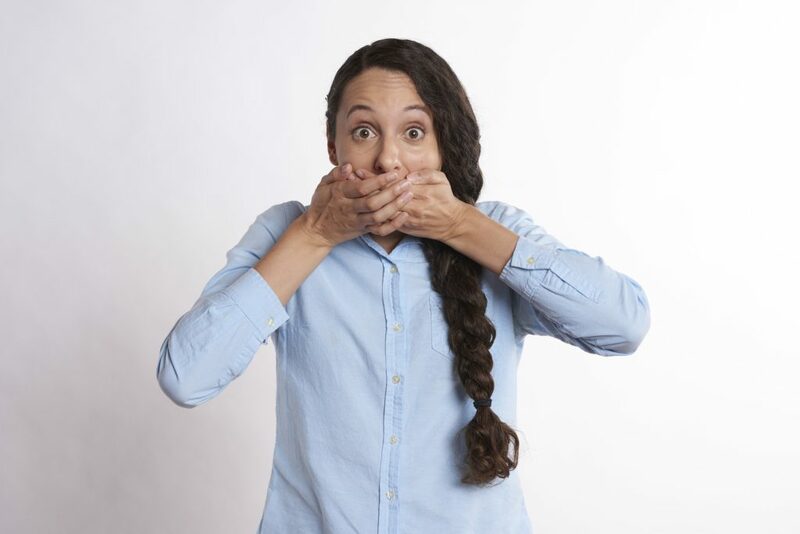 We don’t want you to experience any of these unpleasant problems, so we’ve put together expert advice on how to keep your mouth healthy for the duration of your brace journey. 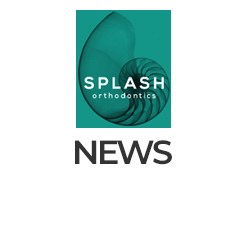 If you want to receive genuine orthodontic care, book an appointment with Splash Orthodontics. Our staff are experts in orthodontics and are dedicated to providing you with a friendly five-star service. Click here to book your appointment with our orthodontic specialists today. Serina Sandhu and Andrew Johnson describe the pleasures and pitfalls of adult braces. There are many grown-ups who still shudder at memories of having braces on their teeth. So it is perhaps surprising that this youthf ul rite of passage is making a comeback in adulthood. 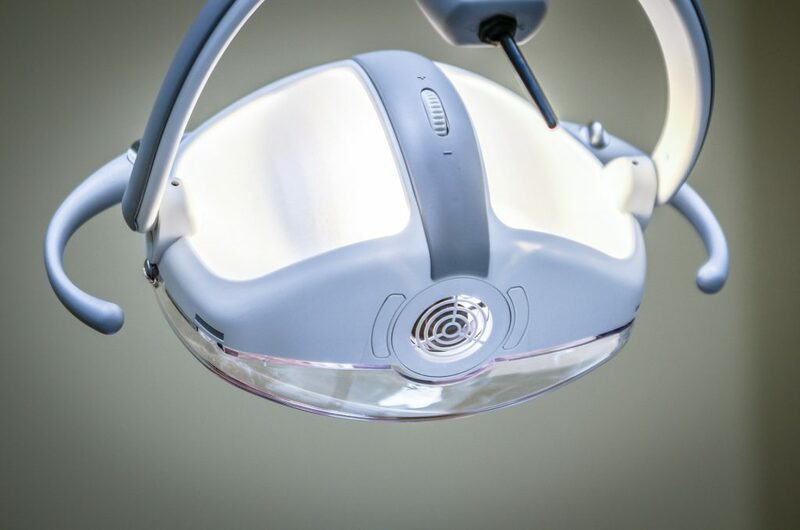 An increasing number of adults are getting braces fitted to fix dental problems ranging from minor misalignment to more serious issues involving their bite. iNews reports the full story. Is this toothbrush worth it? Head over to Business Insider to find out more. 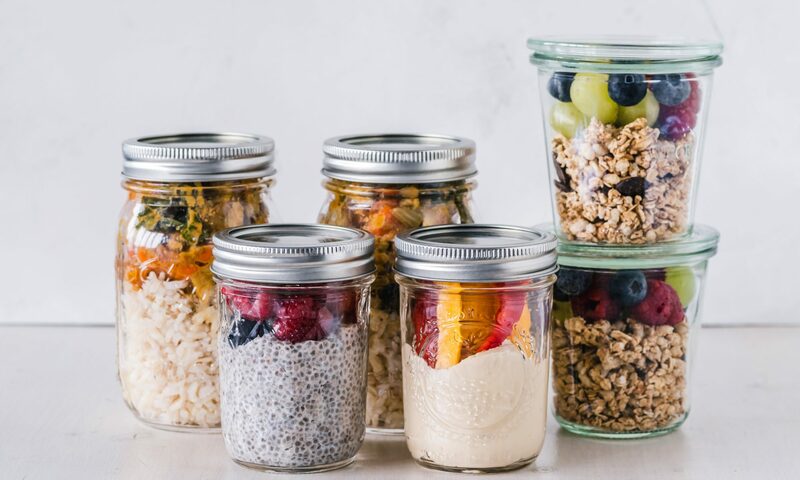 Now we’re all on board with using a refillable water bottle and taking our own bags to the supermarket, the war on single-use plastics continues. The next space on our hit list? Your bathroom cabinet. Look around, this is a breeding ground for unwanted plastic. Even seemingly innocent products, such as toilet paper, come with an unwanted layer of wrapping. But thankfully there are alternatives out there. Head over to iNews to find out what they are. The digital age plays an influential role in shaping dentistry. 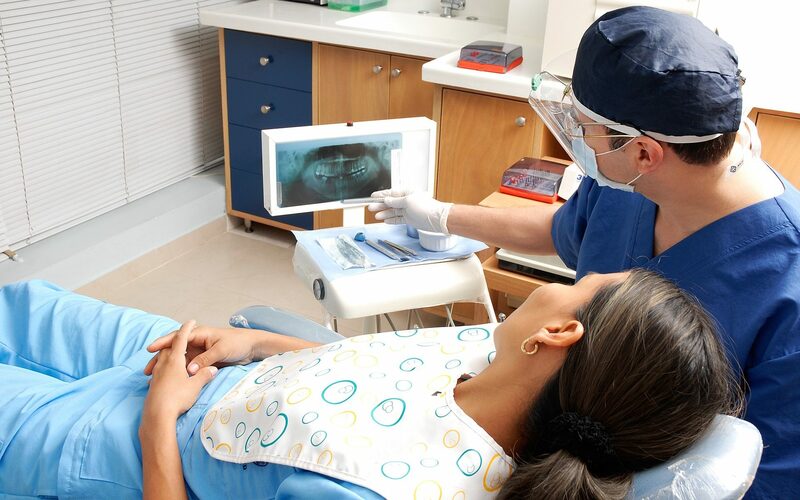 With the rapid developments in new technology continuing to streamline systems, dentists are benefiting tremendously. 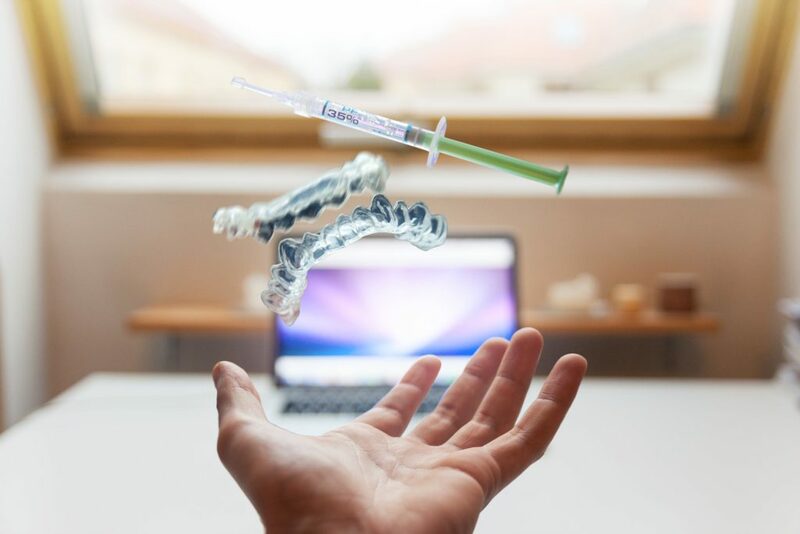 The digital revolution has been hailed a game changer for dentists and continues to raise the bar for practices in many ways, redrawing the landscape of dentist-patient interactions. In fact, evidence suggests this increasing digitalisation of dentistry is helping practices attain higher patient conversion rates. 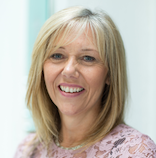 For practice principal Tina Tanna, dentistry is all about everyone having access to quality, affordable dental care in a modern, progressive and caring environment. For the full story, head over to Dentistry. A joint project by Dr Michael Milward and Professor Paul Cooper at the University of Birmingham’s School of Dentistry and PhD candidate Richard Arm at the Nottingham Trent University (NTU) will allow student dentists to experience and learn how it feels to use periodontal probes to check for gum disease. 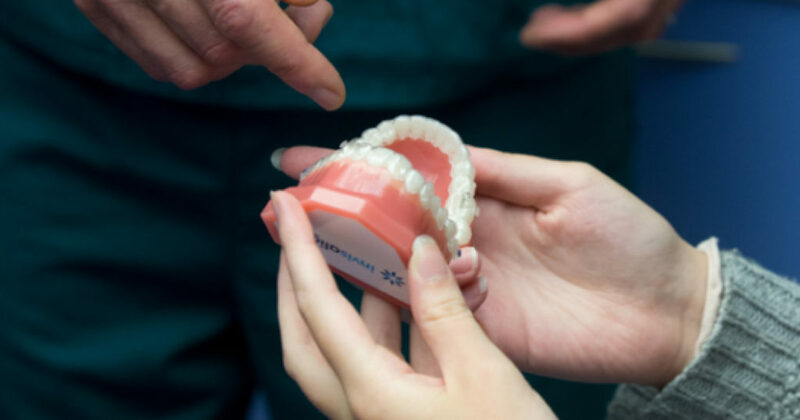 The models are funded by the University of Birmingham’s Alumni Impact Fund and feature realistic gums as well as tongues, which feel and behave like the real thing. 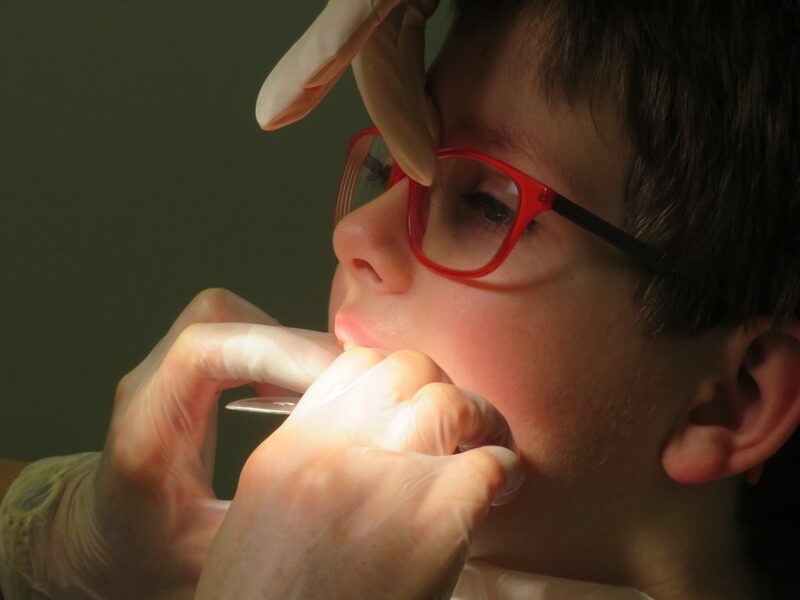 They will allow students to learn how to examine the mouth safely and check for disease. You can read more over at Dentistry. Your headline “Patients resort to DIY dentistry as NHS options disappear” (6 February) could have been written for my husband. A retired technology teacher, he relishes a challenge, and has fashioned himself a perfectly serviceable tooth to replace a broken one. This on the day we learned our dentist was going private. She was fascinated by the enterprise and used their appointment time to research the material he had used and discuss the implications, rather than take an impression for a plate, which was the original plan – £3.99 versus £250! For more on this story, head over to The Guardian. Tooth decay may not be at the forefront of many people’s minds, but if plaque is allowed to build up on teeth, painful dental caries (holes), gum disease or dental abscesses can form. A dentist has revealed seven ways to prevent rotting teeth. Tooth decay happens when acid is produced from plaque and then builds up on teeth. The NHS explains when you eat food and drinks high in carbohydrates, particularly sugary foods and drinks, the bacteria in plaque turn the carbohydrates into energy they need while producing acid at the same time. For more on this story, head over to the Express. Adults of all ages are electing to get braces later in life both to improve their looks and fix long-standing dental issues — and the trend shows no sign of slowing down. Continue reading the full story over at Heathline. Q. I’m nearly 40 and feel embarrassed about my crooked teeth. Is it too late for braces? A. The majority of people who have ongoing issues with crooked teeth have usually been given the opportunity to have braces when they were younger. There are people who have missed such an opportunity and, as a result have been left with teeth that they are not happy about. The most effective option is a traditional fixed metal brace, which has brackets and bands that are temporarily stuck to the teeth, held together by a flexible wire. For the full Q+A, read more over at Bury Times. To carry on reading, please visit the Daily Mail. 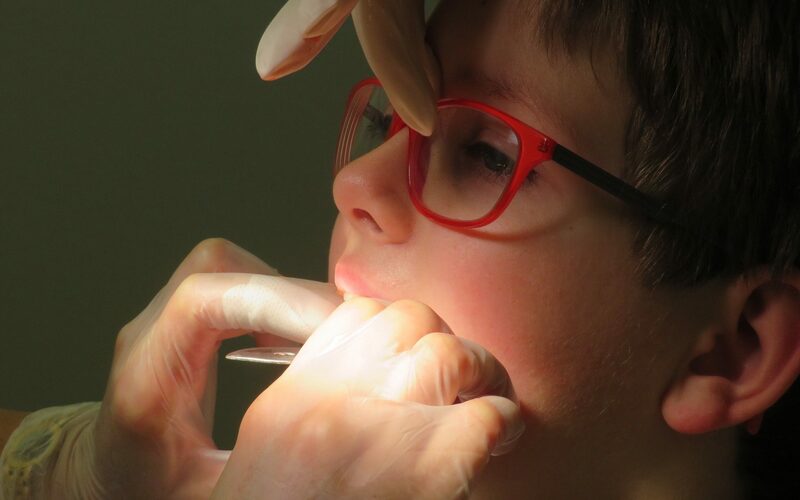 Industry Coverage 08/02/19: Are you brushing your child’s teeth the right way? Are you brushing your child’s teeth the right way? A study from the Centers for Disease Control and Prevention (CDC) said nearly 80 percent of parents aren’t brushing their child’s teeth early enough, but experts said parents should be brushing their child’s teeth morning and night. Experts add babies should be getting their teeth brushed when that first tooth comes out. A child’s first dental visit should also be at 1-years-old. For more information, head over to WGXA. For the full story, read more at the Independent. Charcoal toothpaste: Can it whiten teeth? Now it’s even being added to toothpaste, with the black color to match. Manufacturers claim it whitens teeth naturally and eliminates bad breath. “It was actually used as far back as the Roman Times. And it kind of lost its pizzazz over time. Now again, it is resurging,” said Reno dentist Greg Eissmann. By far, the biggest claim is charcoal toothpaste naturally whitens teeth. 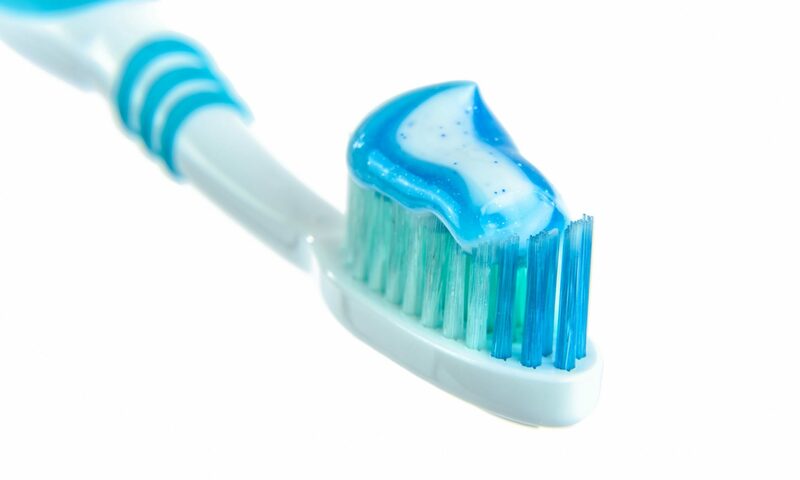 Dr. Eissmann says the abrasive nature of charcoal toothpaste can remove stains on the outside of the tooth. The WHSV reports the full story. A dental hygienist is an oral health professional who specialises in preventing and treating a range of oral diseases. Each and every dental hygienist must be licensed and certified. This can be done by several means, most commonly by achieving a foundation degree in oral health science. A dental hygienist has several responsibilities. 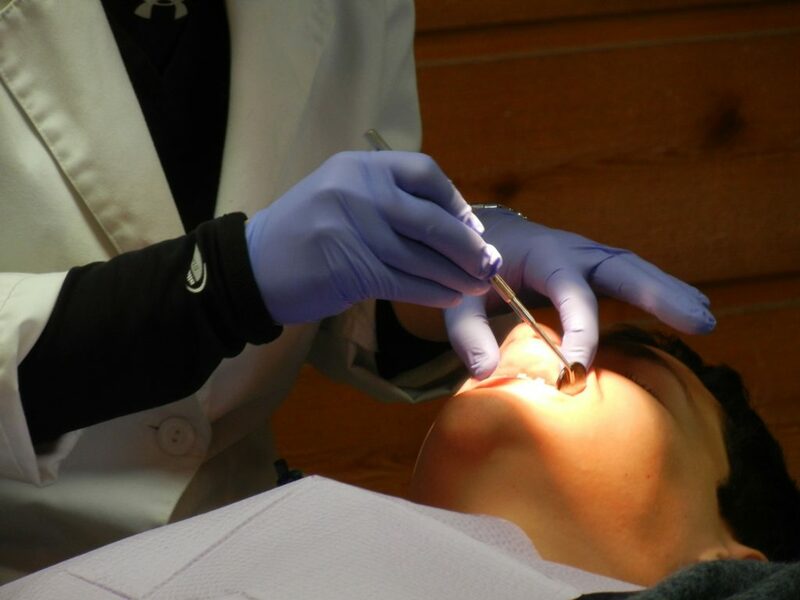 However, depending on the hygienist’s qualifications and the clinic’s requirements, their responsibilities may change. 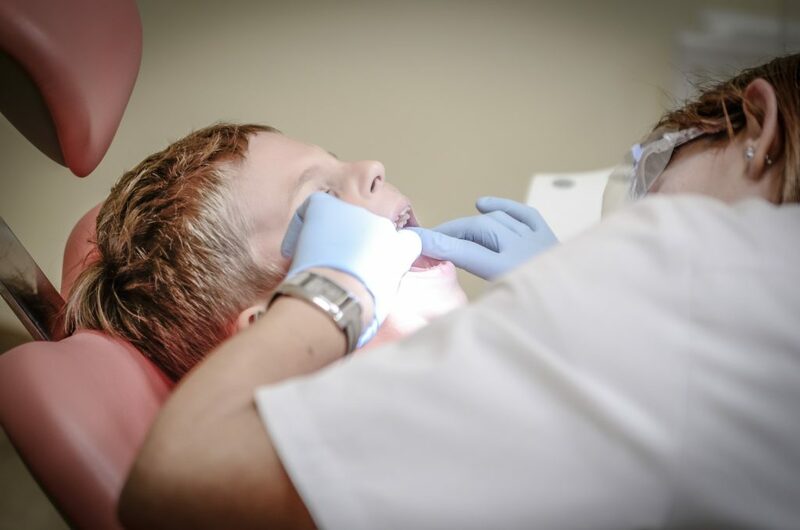 Additionally, alongside the above responsibilities, dentists may allow dental hygienists to perform certain duties under their direct supervision. Such duties may involve the use of nitrous oxides, local anesthesia and soft tissue curettage. 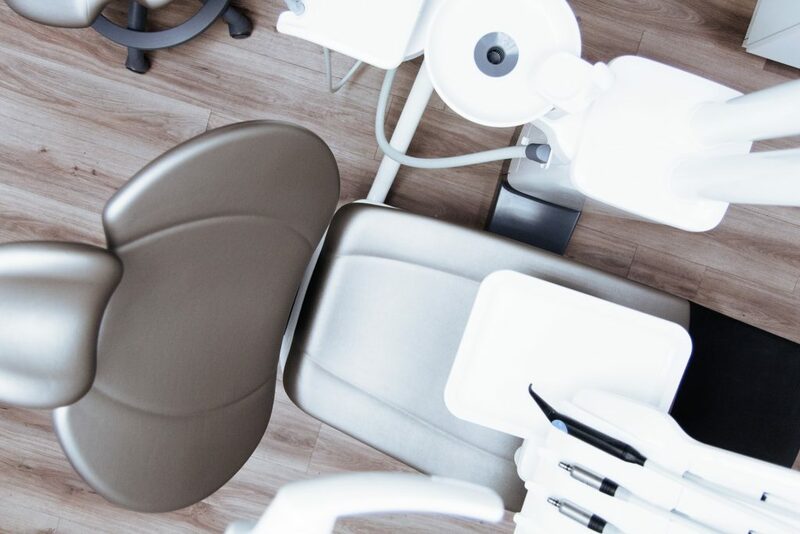 The U.S. News & World Report recently listed Dental Hygienist as the #17 profession in its “100 Best Jobs” list in 2018. The luxury of adopting a flexible schedule. 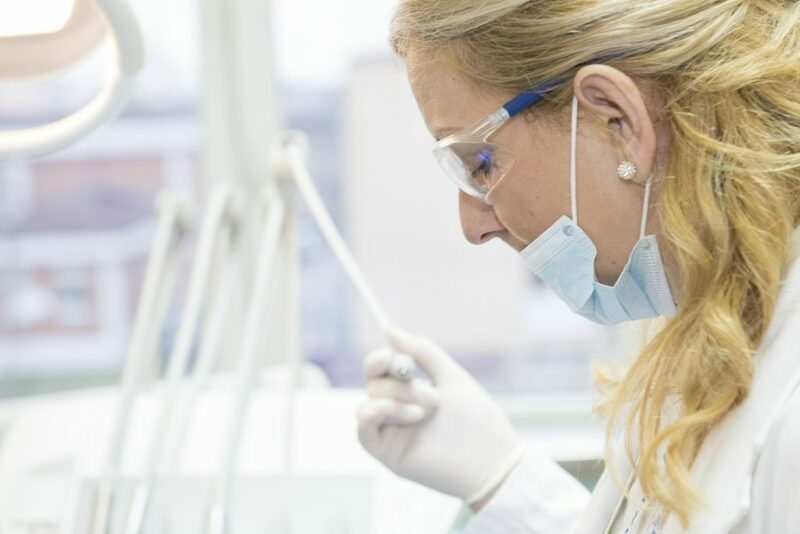 What Does it Take to be a Dental Hygienist? 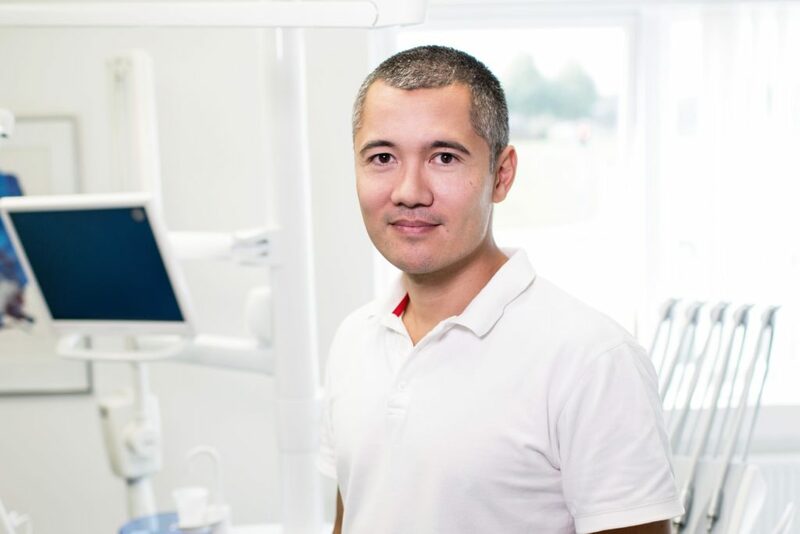 All prospective hygienists will require an associate degree (this is the minimum requirement). This degree takes around two years to complete, with the resulting certification being a clinical internship. This allows students to use their learnt skills and knowledge in a dental care environment through supervision from a qualified dentist. Once students have achieved their associate’s degree, they will then be able to undertake college or university programs. 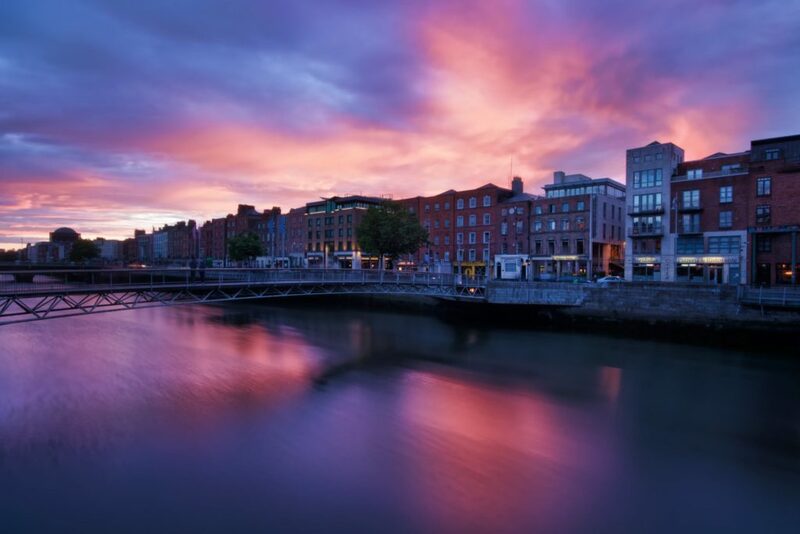 These programmes offer bachelor’s or master’s degrees in dental hygiene. However, neither bachelor’s or master’s degrees are required to practice dental hygiene. However, they may be required if you’re considering a career in teaching or medical research. 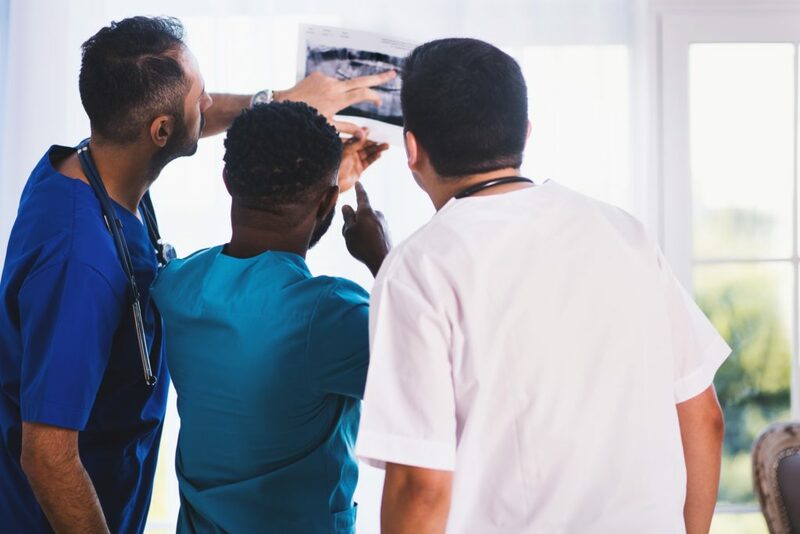 The NHS reports that 22.1 million adults were seen by an NHS dentist in the 24-months prior to the 1st of July 2018. In contrast, 39.2 million courses of treatment were delivered between 2017-2018, a 1.8% decrease from the previous year. Dental checkups are absolutely essential for maintaining your oral health. Failure to check-in with your dentist and/or hygienist will likely lead to poor oral hygiene (and eventually physical discomfort). 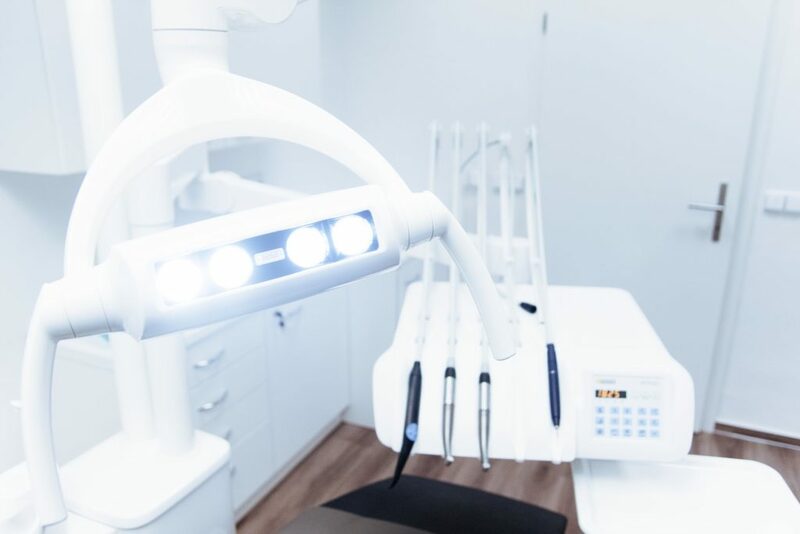 Additionally, if certain problems are not addressed, you may end up paying a small fortune for dental intervention that would otherwise have not been necessary. 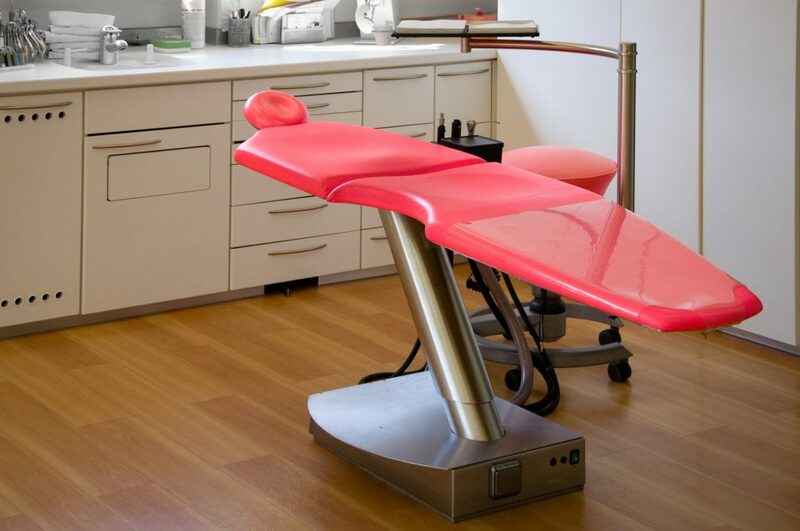 All dental clinics will state that patients should have a dental checkup every six months. After this time, you will start developing small cavities, which will progressively get worse as time goes on. After two years, patients will likely be struggling with some form of toothache, or in some cases, will require expensive treatments to fix problems. This is also around the time that a cavity (which would have been relatively simple to fix), may now require a root canal. Dental check-ups are vital for maintaining your oral health and avoiding the cost of extensive work or dental hygiene problems. Here at Splash Orthodontics, we advise everyone to have a dental check-up at a professional dental clinic every six months. While there may be some people who require more regular dentist visits, every six months is the average. Regular check-ups such as these will help prevent tooth decay, poor mouth hygiene, oral diseases, and other health-related problems. Don’t put off going to the dentist. Detecting any oral health problems earlier means they are generally easier to treat and not a severe problem. If you do not go to the dentist regularly, your oral hygiene may decline and lead to damage that is far harder to repair.